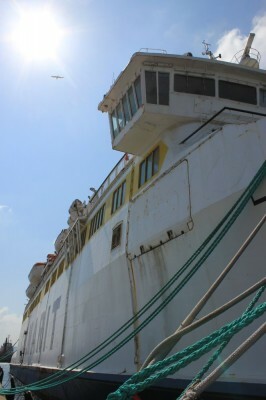 Built 1975 at Helsingor as Mette Mols for Mols Linien’s Ebeltoft-Odden route. 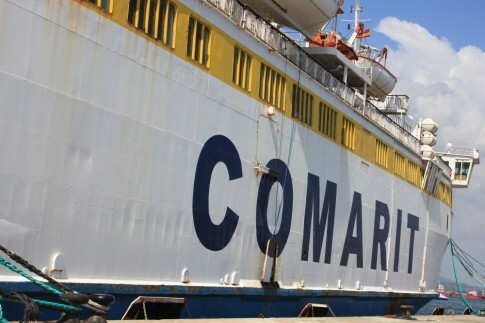 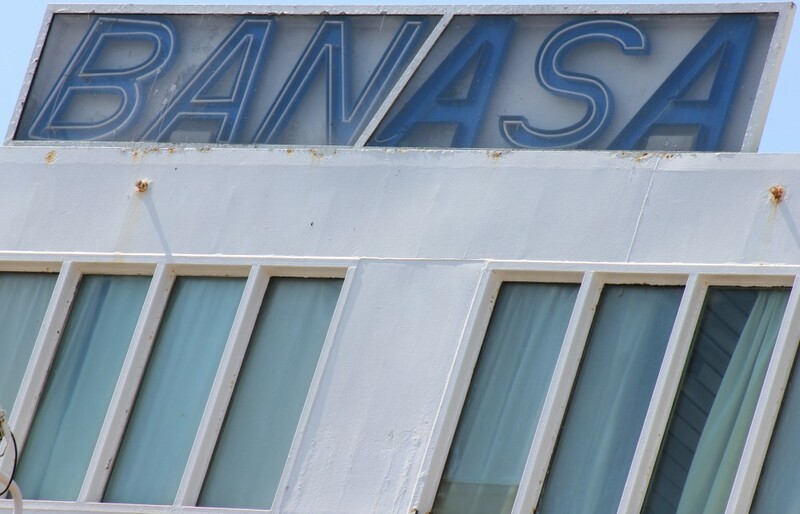 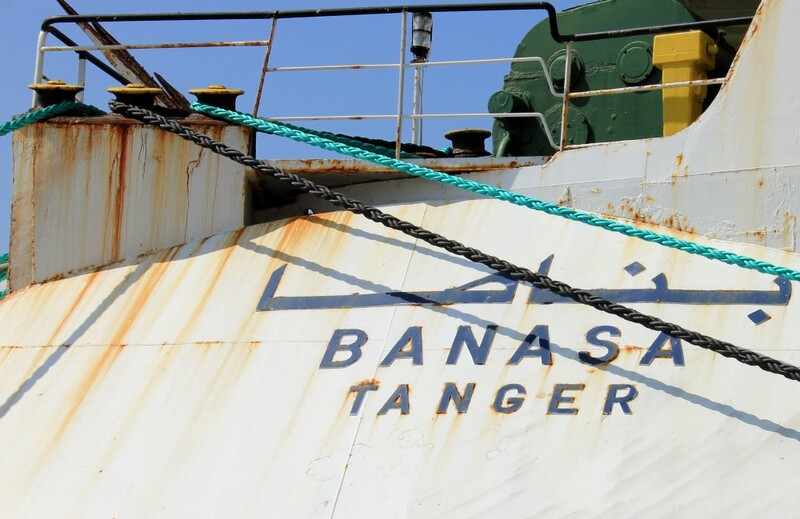 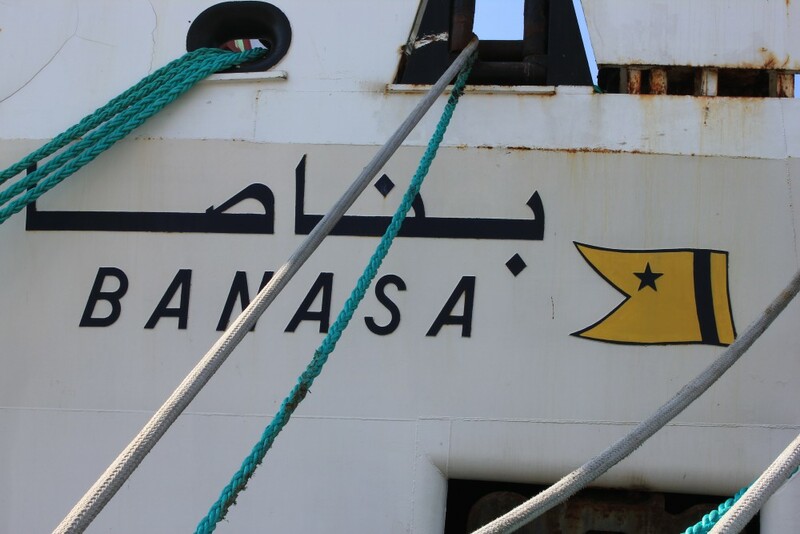 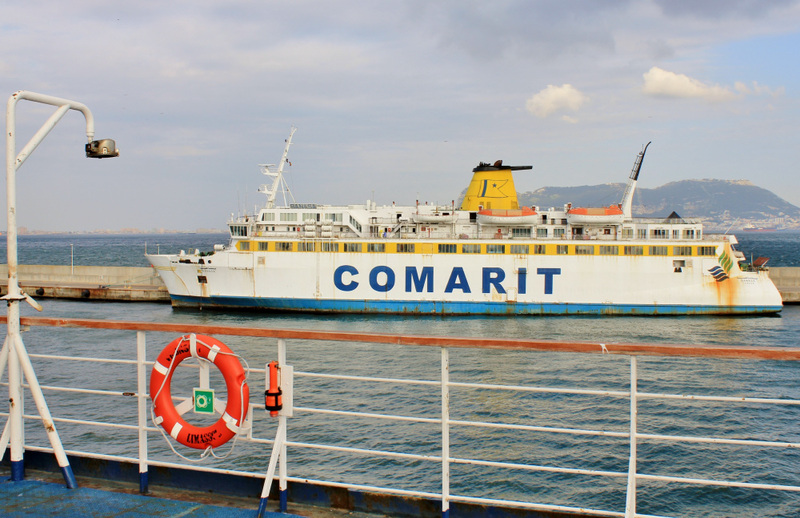 Sold 1996 to Comarit and renamed Banasa for Tangier-Algeciras service. 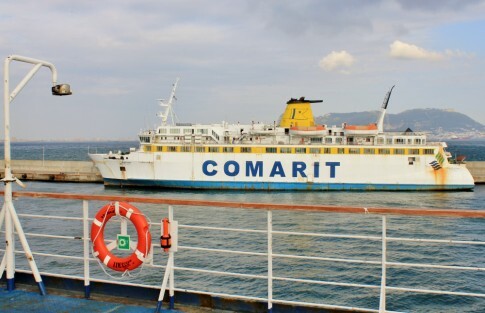 Re-engined and refitted in 2003/04. 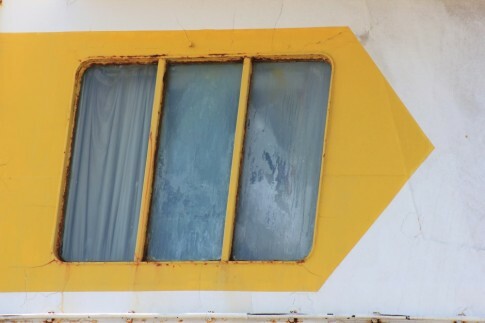 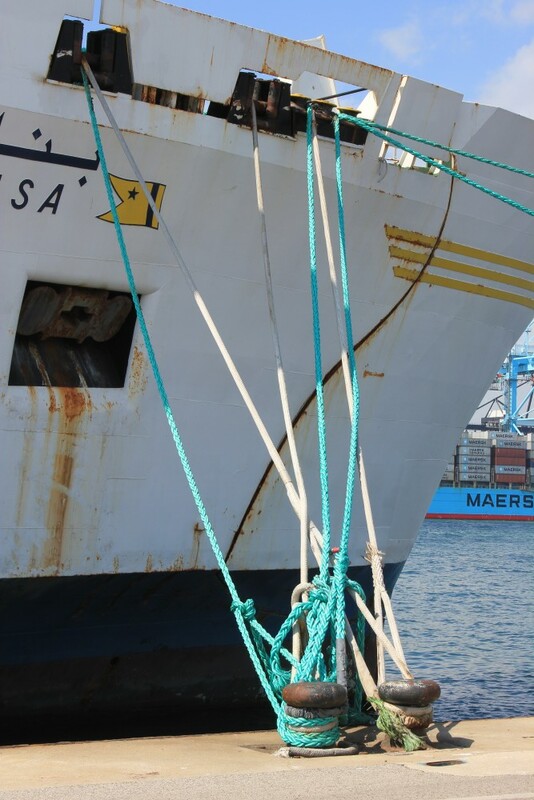 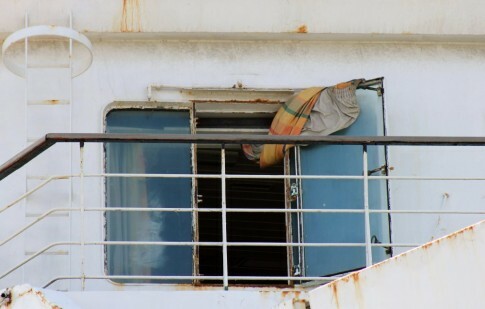 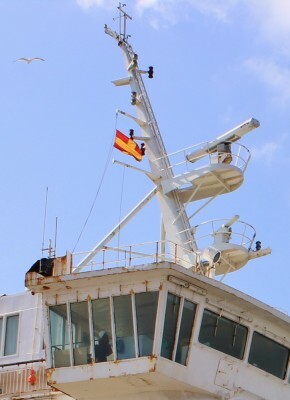 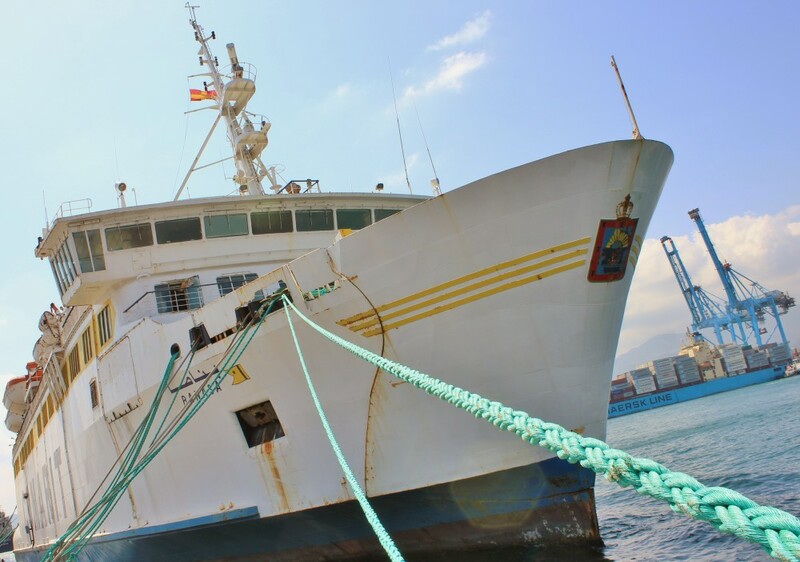 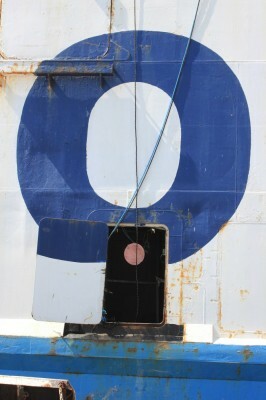 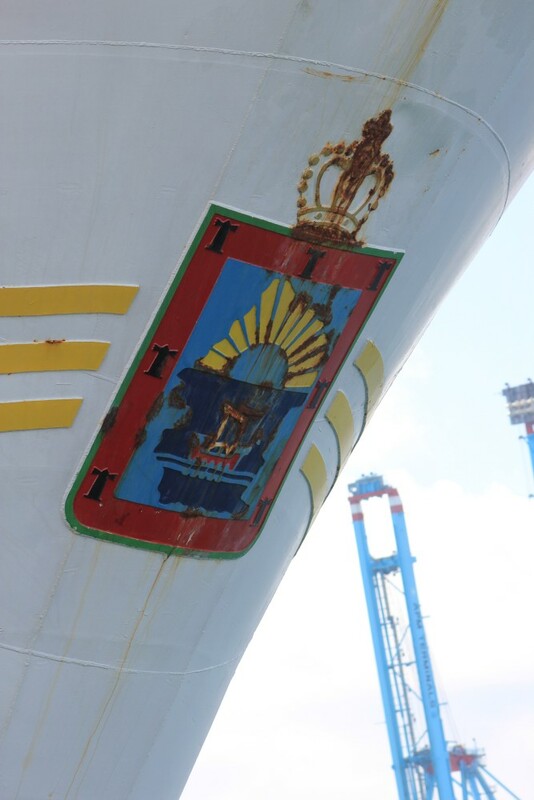 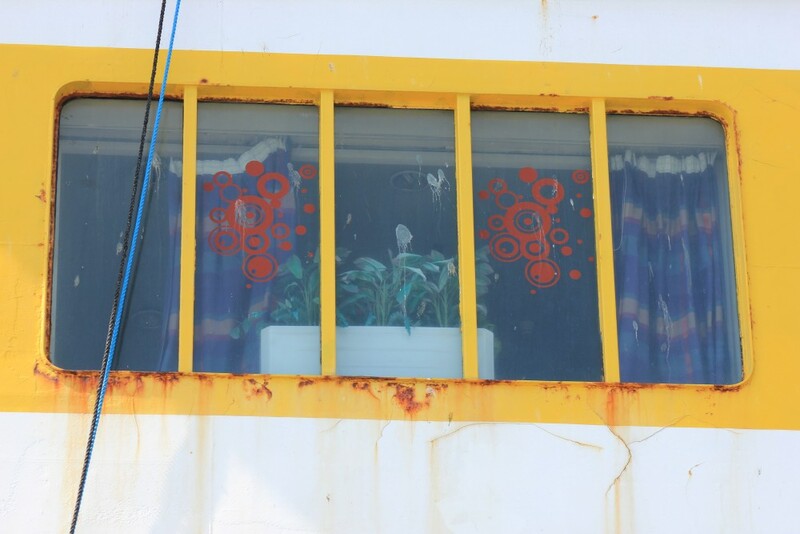 Laid up in Algeciras, Spain, early 2012 following the bankruptcy of her owners. 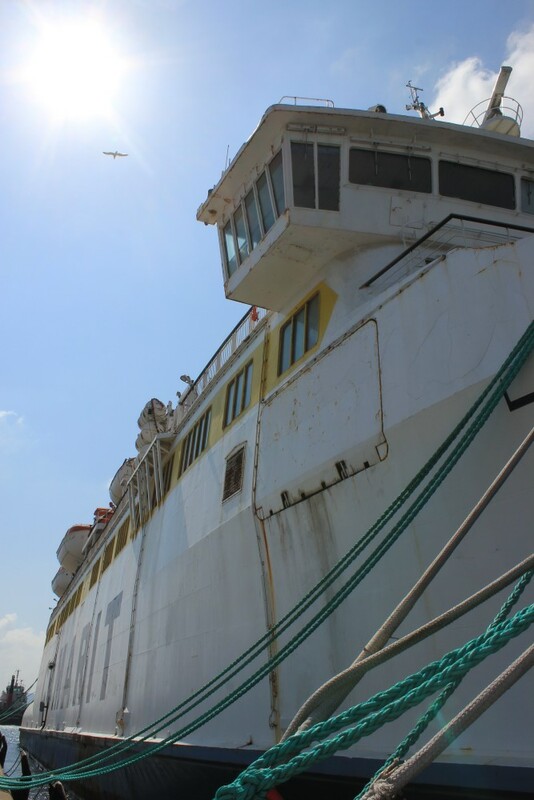 Towed for scrapping at Aliaga, Turkey, August 2015. 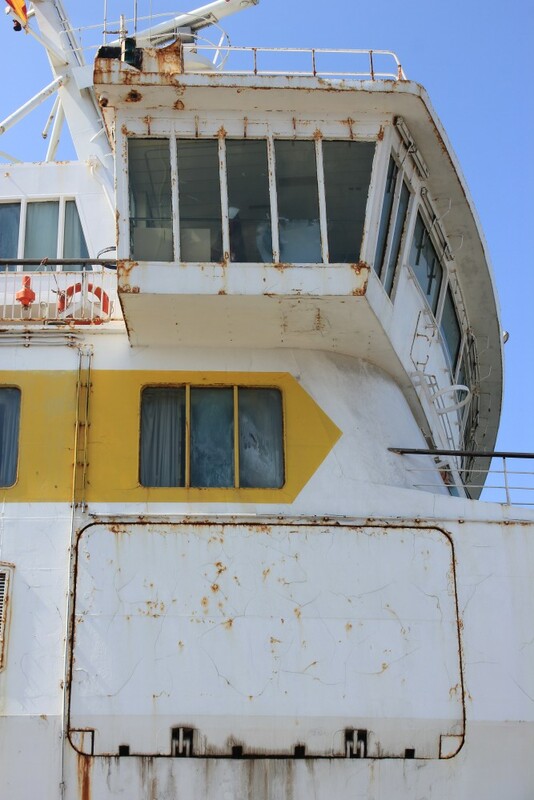 Towed from Aliaga to Perama, Greece, October 2015 following acquisition by European Seaways. 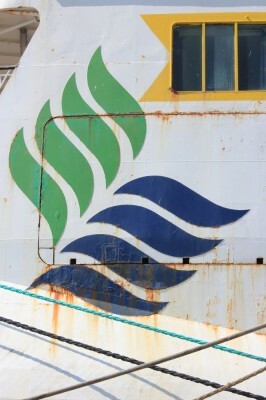 Renamed Galaxy but subsequently re-sold to Moby Lines. 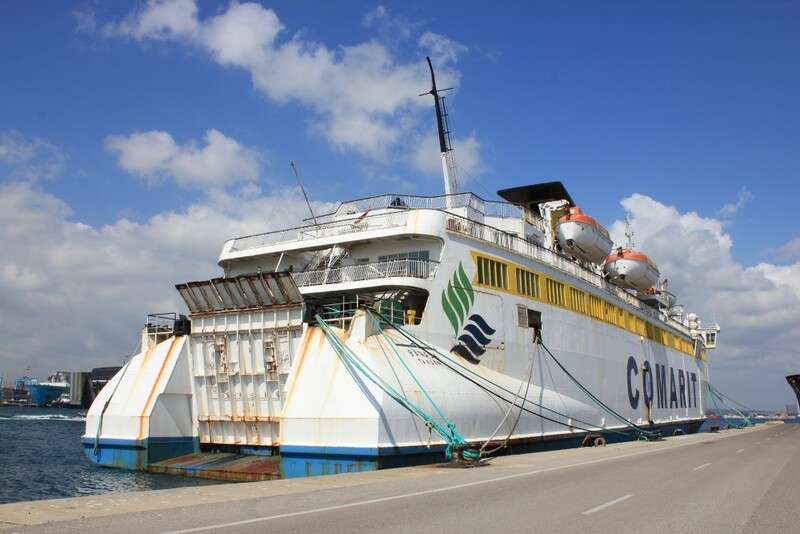 To become Moby Kiss for Livorno-Bastia service. Photographed March 2014, abandoned on Algeciras breakwater.